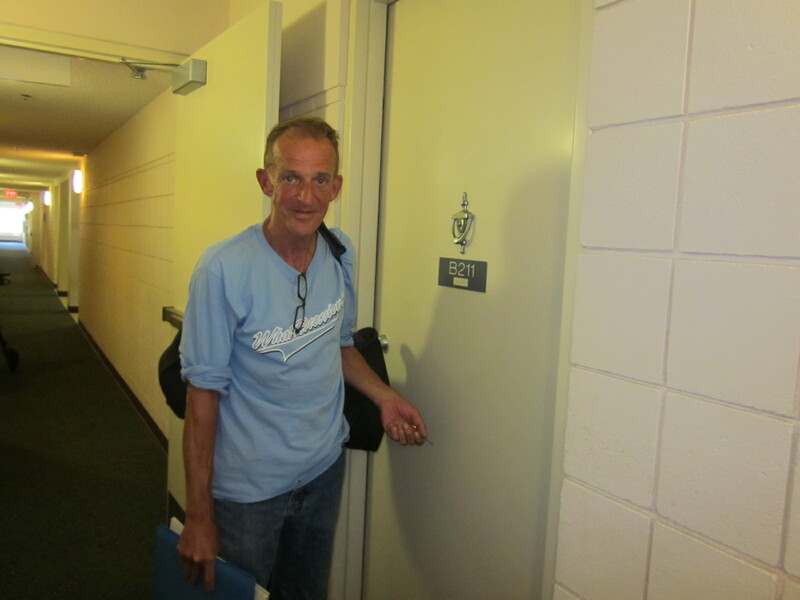 Tom, The Rambling Man Has a Home-Thanks Be To God! Tom has been a rambling man all of his life. He travels light and the bag on his shoulder is most of what he has. He is from New England and has lived much of his life in the Northern New England States. He left home as a teenager and eventually entered the Marines. Yet, he could never stay in one place very long. He battled alcohol and depression since he was sixteen and with the help of faith based programs often won the battle for periods of time. He also lived in the West- in California, Oregon and Washington. He worked in concrete and at other jobs until an accident and other events qualified him for Disability in the 1990’s. He lived in single room situations and in shelters for the homeless all across the country. This Fall he decided to leave the cold weather behind and move to Southwest Florida. He could not afford market housing and much of the time here he was again homeless,sleeping outside in the bushes. 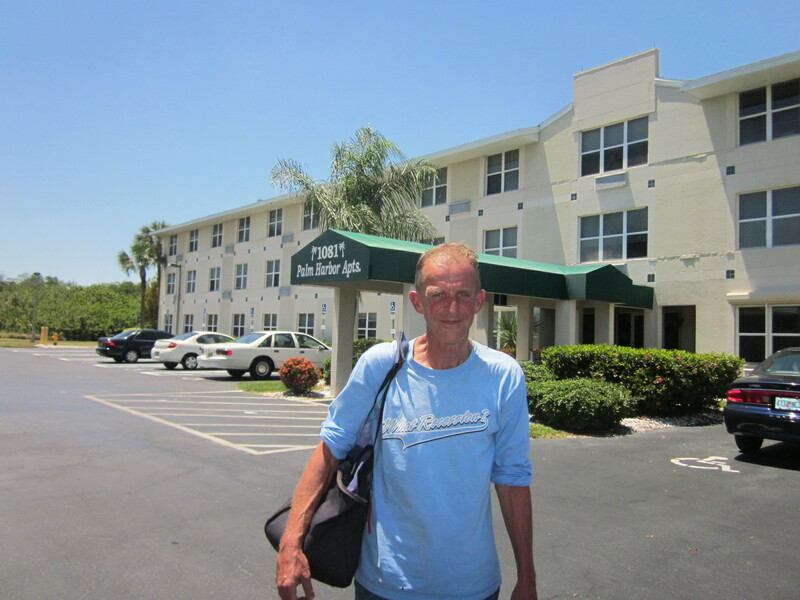 Unlike some of the places where Tom stayed, Fort Myers does not have a Men’s Emergency Shelter. It has some drug and alcohol related programs where working is necessary and Tom cannot work any longer. Yet Tom wanted to stay here. Tom’s hope in staying here was Senior housing. 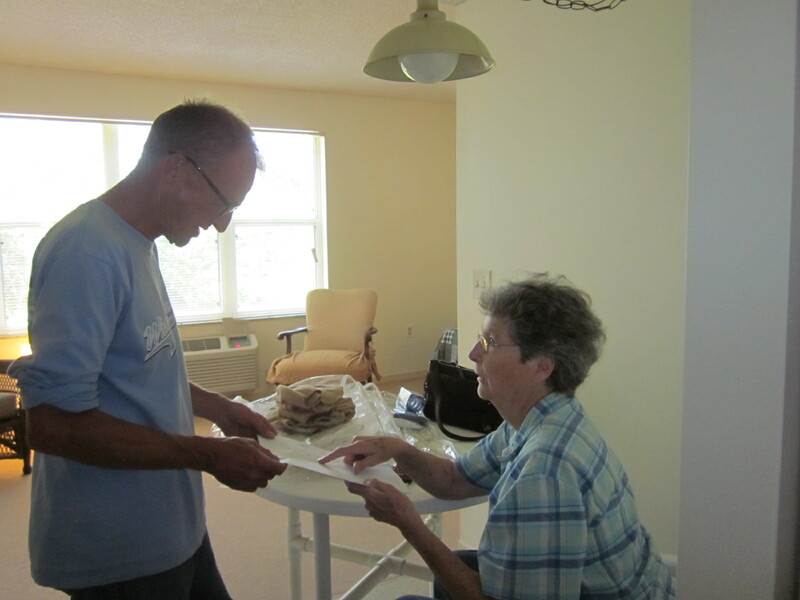 Tom turned 62 this month and one Church based Residence for those 62 and over lets our ministry know when they have an apartment available. Thanks be to God, an Efficiency apartment became available a week after his birthday. Tom got the apartment and signed the lease and moved in today. Tom is delighted to have HUD assisted affordable housing. Good Shepherd Ministries is paying his Security, Electric deposit and pro-rated monthly fee as he will get his check on the First and pay his first months rent then and take it from there. 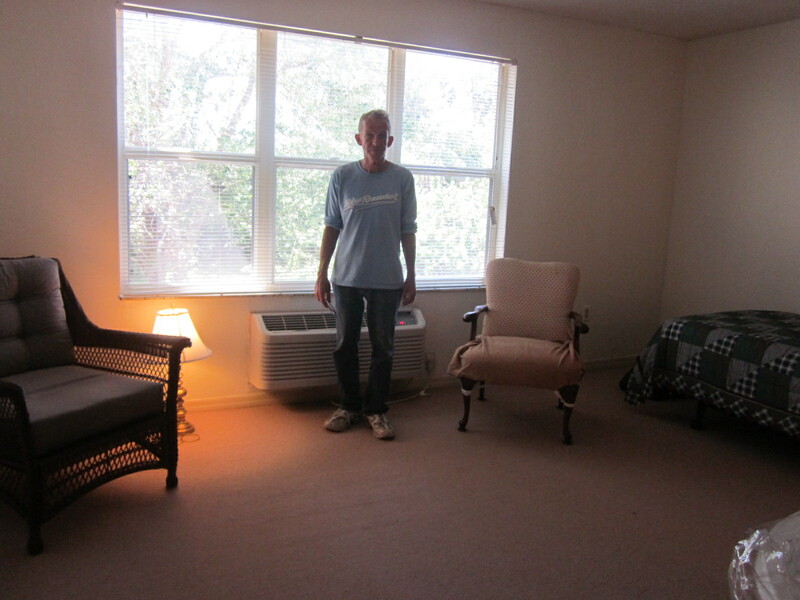 Margaret, the Manager who truly cares about the residents, was able to provide a bed for Tom, and Good Shepherd provided the bedding and furniture through our own cost free “store” and the generous donations of our friend Ginger Delerme. We also set him up with a full cupboard. Tom relaxing in his new chair. He said he feels like a king on a throne! 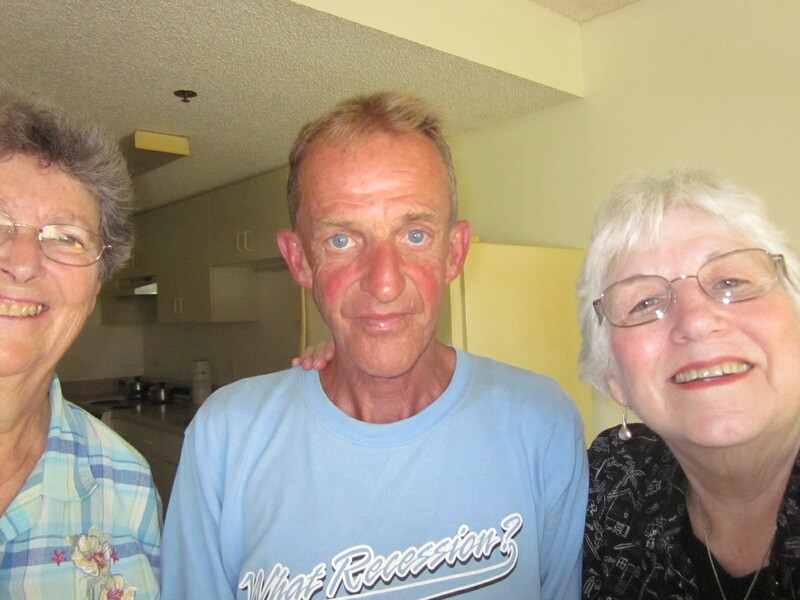 We blessed every corner of Tom’s new home, and more importantly, we blessed Tom and assured him that he also has a church home. Tom says that he likes to be social and is glad that he is not alone anymore. We love his shirt-“What Recession”? 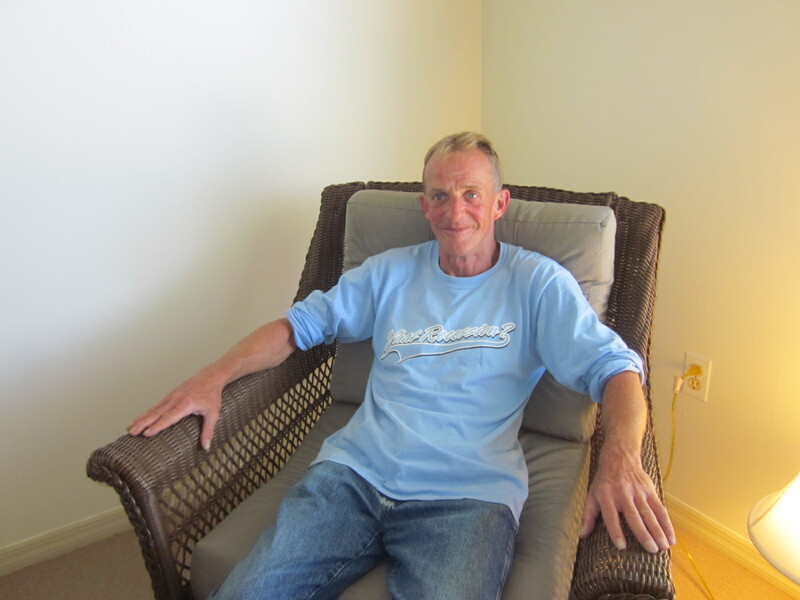 For Tom, thanks to this wonderful Senior housing and a caring church, housing is now affordable. The rambling man has decided to settle down. He says that he has found the right place to do it: thanks be to God! 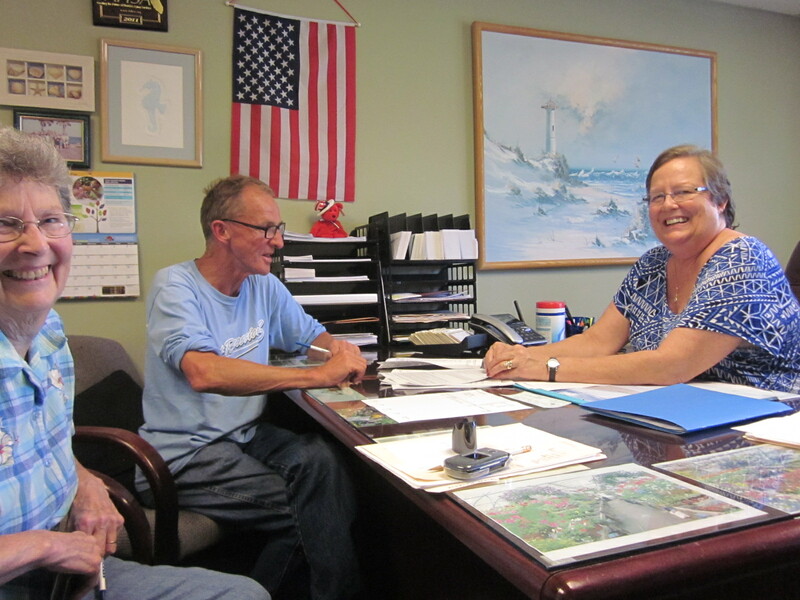 Congratulations on another success story, Judy and Judy! Every night as I am in bed, I pray for those who have none and thank God for you who are getting more into beds!